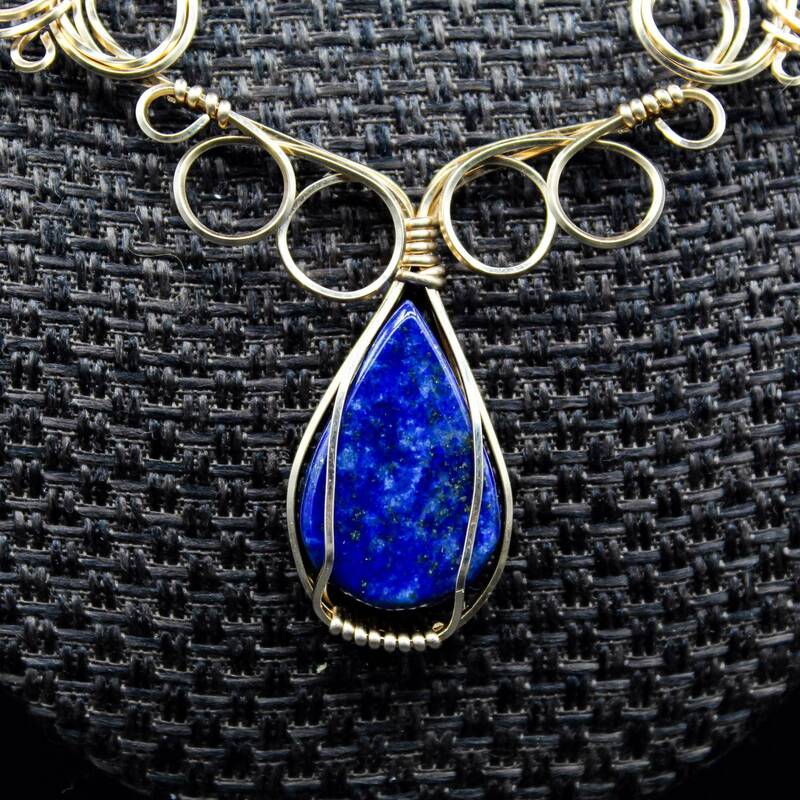 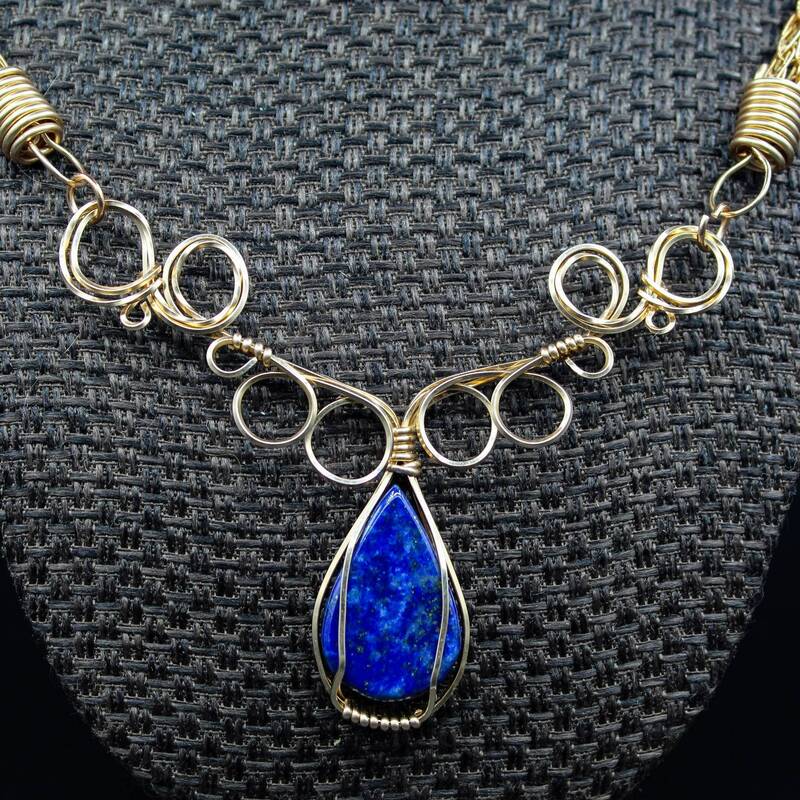 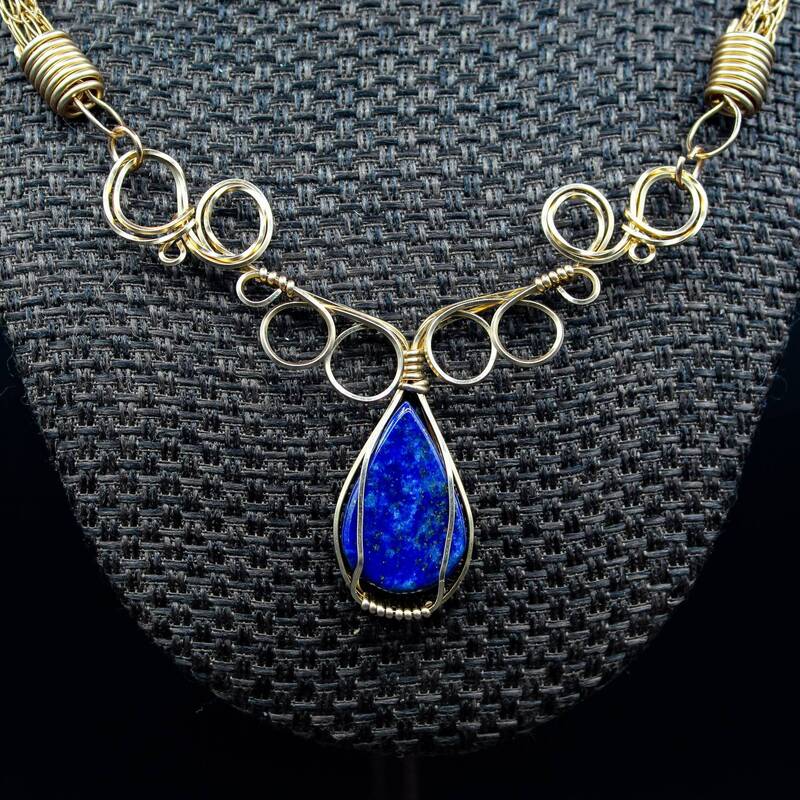 This is a beautiful teardrop Lapis Lazuli wrapped in bronze and set on a handmade Viking Knit necklace finished with handmade end caps. 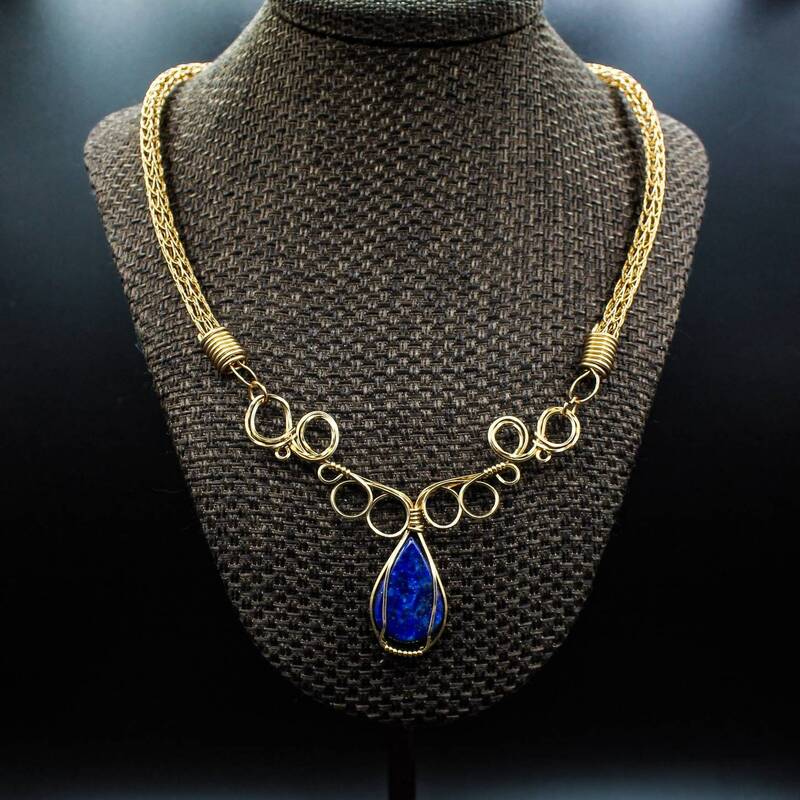 Whether you're looking for the perfect piece for your eleven or faerie costume, Renaissance garb, or a gorgeous statement piece, this should be your choice! 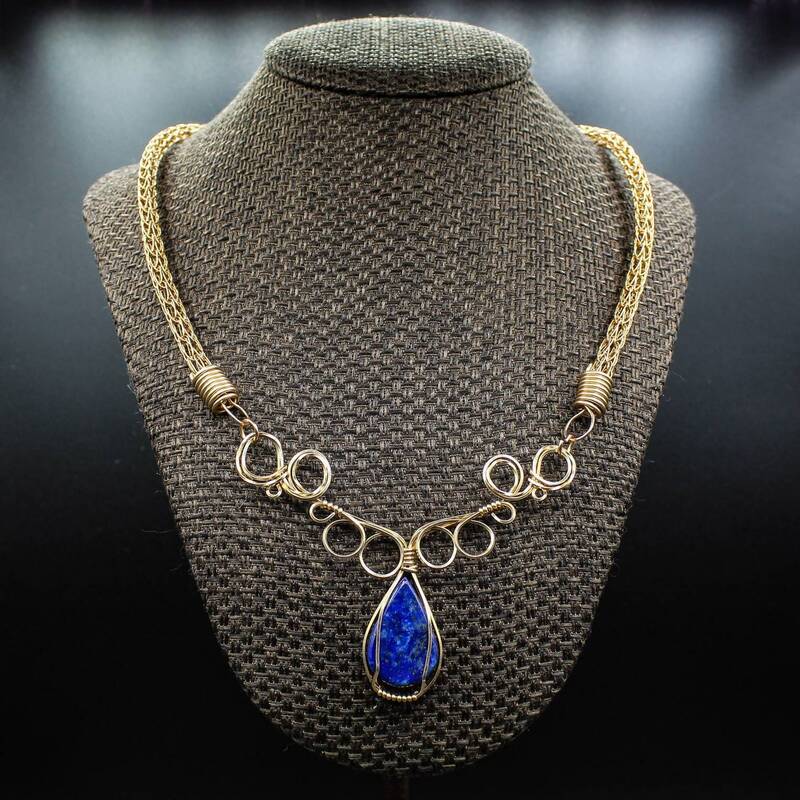 This necklace measures 22" including the pendant and has a handmade clasp in the back. 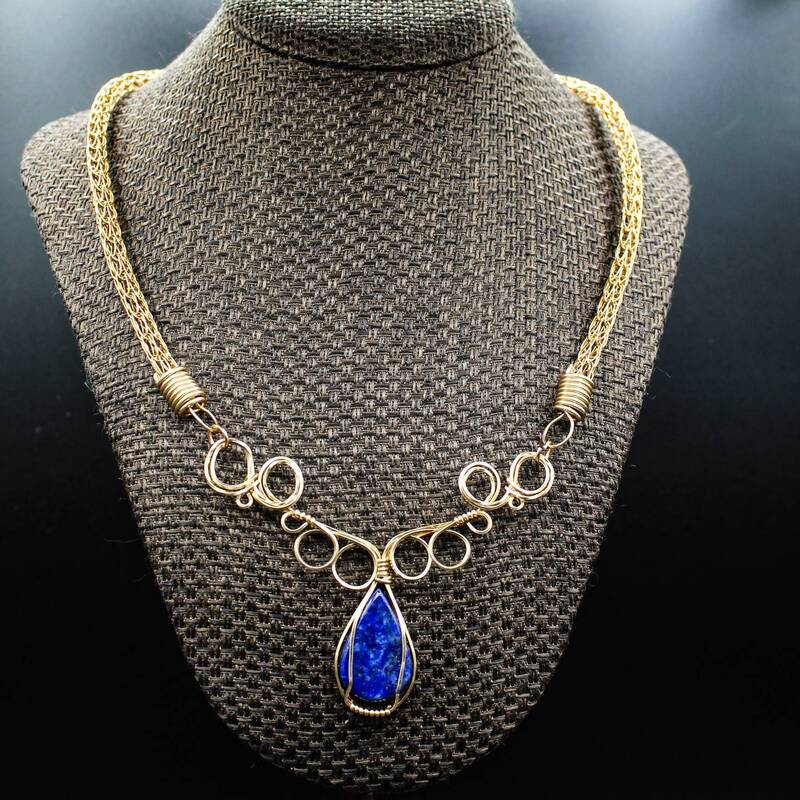 The pedant is permanently attached to the necklace!